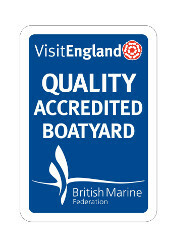 All of our boats have been submitted for assessment by an independent inspector and awarded a narrowboat star classification under the BMF VisitEngland scheme. The list below shows the minimum standards required for each Star rating. Clean and comfortable with adequate heating and lighting, refrigerator and cooker with oven and grill. Full range of utensils, crockery and cutlery. Hot and cold water supply to all sinks and shower. Chemical toilet. Bed linen (quilts or sleeping bags) provided. B/W TV available. As ONE STAR plus minimum berth length 6'2", width upper bunk - 1'8", lower bunk - 2'0", double - 3'9". Pump-out recirculatory or water flush toilet. Fitted radio/cassette/CD player. 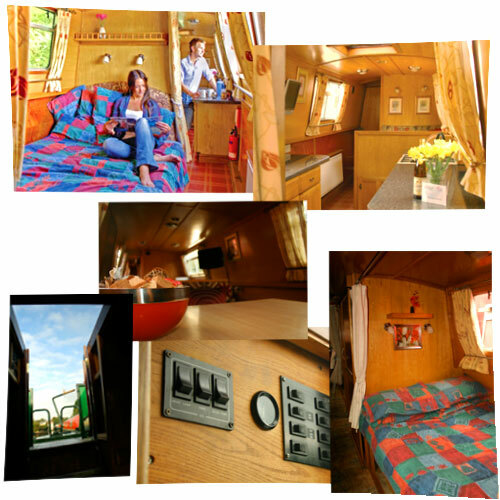 As TWO STAR plus - more spacious boat, minimum centre head room 6'0", spacious toilet and washbasin for 6 or more berths. Radiator or blown warm air central heating. Domestic size cooker. Bedside lights for each berth. As THREE STAR plus maximum of 2 persons sleeping in any cabin, minimum of two fixed berths, minimum berth - length 6'3", width - single 2'0", double 4'0", continental quilt bedding, fabric upholstery. Engine/gas heated stored hot water system. Toilet, shower and wash basin enclosed in a "bathroom". Water flush toilet, Colour TV available. A family-run business now with the third generation involved in operating and building their own hire fleet. The Boatyard is towpath side, in the middle of a series the locks through the small market town of Middlewich on the Trent & Mersey Canal, and offers a small range of services to passing boats. Family members lead each area of business operations to deliver a high quality boating experience, with a smart, very well turned out fleet of narrow boats. A high level of customer service plus attention to detail in the boat design, presentation and customer care reflects the long experience, expertise and dedication of the boatyard team. Keen to continue to participate in the external audit and boat grading processes.